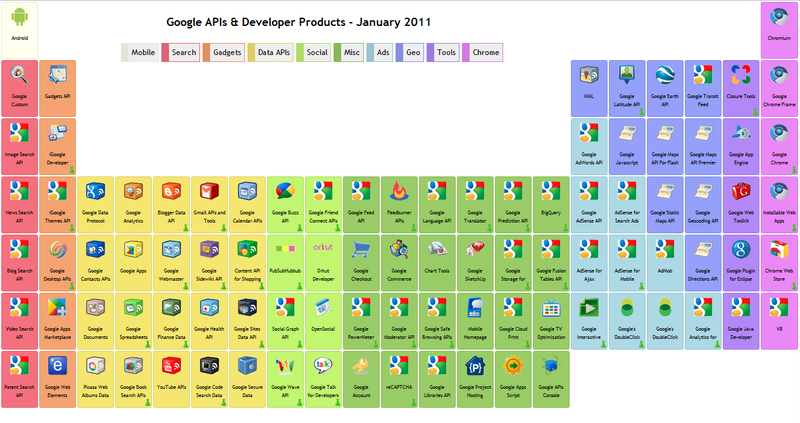 Interactive Web 2.0 periodic table with dynamic layouts showing all Google API. Take a look here at Google Code. By the way, if you are looking for a real interactive Web 2.0 periodic table, so check out this alternate link.